Travel comes in many forms and can be mental, literal or virtual. What I, like many people, do is a bit of all three. 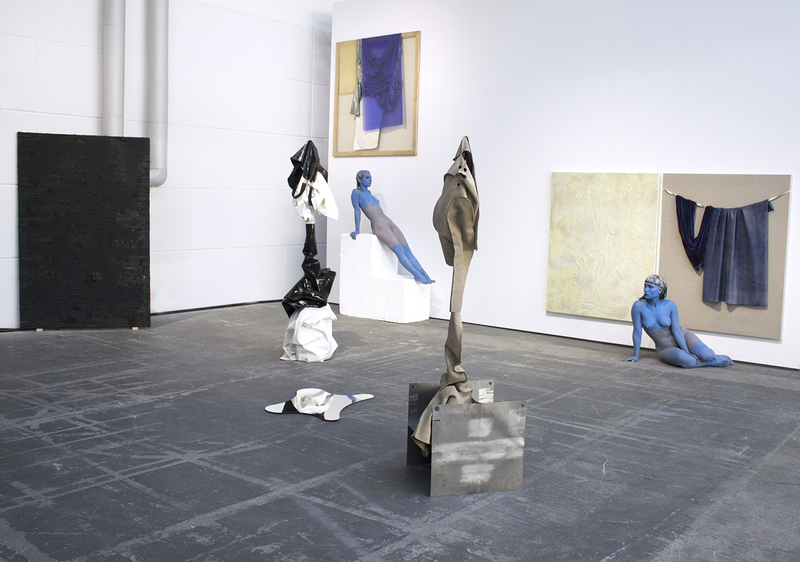 This year, abc (art berlin contemporary) was held September 18th through the 21st at Station Berlin. Unable to attend, I watched excitedly as images appeared in my Instagram feed and when the photograph above was posted by pishcheck (Przemek Pyszczek) I knew something special was occurring. 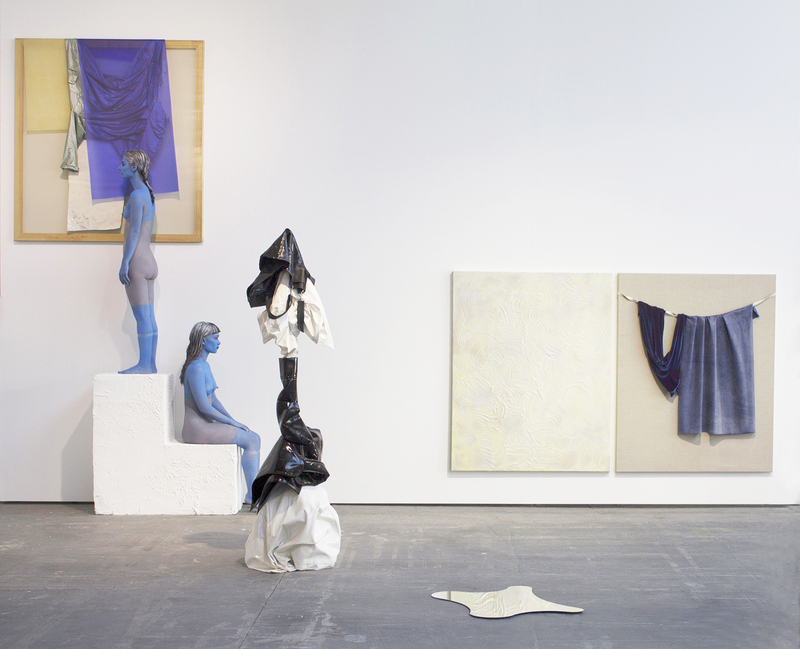 The artist, whose work I discovered virtually by way of an image from an art fair in Berlin, is by Donna Huanca who also happens to be based in New York after having spent time in Mexico City and Berlin. In spring 2014, she participated in MoMA PS1 Sunday Sessions with SADE ROOM (famously reclusive), a mixed media installation at the Print Shop. The art world is small and instagram makes it smaller. Our dialogue is below. KATY DIAMOND HAMER: You recently participated in abc (art berlin contemporary, 2014) with Brand New Gallery. How long have you been working with them? 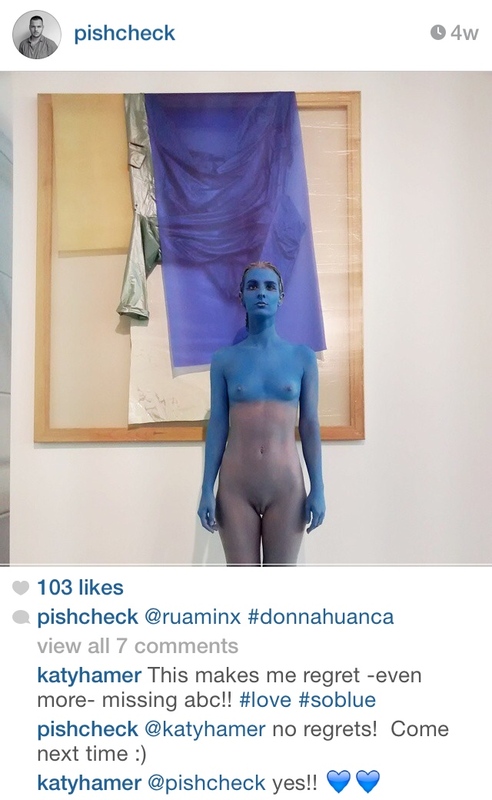 DONNA HUANCA: This was my first project with Brand New Gallery. KDH: I was unable to attend abc this year, but the images of your work caught my eye. Can you talk about the installation? DH: The piece is called PSYCHOTRIA ELATA (2014), after a species of plant that can make you hallucinate if consumed. I want the experience of my work to create a surreal moment similar to a hallucination. The installation was activated by live models, creating a shifting composition during ABC, a total of 29 hours. KDH: When did you start to work with the human figure as a medium (not unlike a colored brushstroke of a painting) in your work? DH: My first installation with the human figure displayed sculpturally among the static works was in 2012 for an installation called “SADE on DMT” at The Kunsthalle Exnergasse (KEX) in Vienna. Two models used the installation as a lounge during the opening of the exhibition. I have been working with clothes for a long time, however. Garments evoke bodies and carry their form and spirit. KDH: The body in space, a three-dimensional form that functions as sculpture, yet within the context of your solid/immobile objects in the booth and two-dimensional hanging work, the installation as a whole felt very painterly. What is your relationship to painting? DH: Although I studied painting, I never resonated with the medium or a two-dimensional format. My flat works act as backdrops that are meant to be experienced in conversation with the body. KDH: Do you ever physically participate in the performative aspect of your work or do you leave that solely to models? Do you work with people you know or strangers and does this matter? DH: Yes, I have performed in my work before. The models allow a necessary detachment. The models are cast in the different cities where I am working, so [they are] mostly strangers. I compose the installation and ask the models to respond with movements and shapes, creating several compositions. The choreography is open to improvisation, giving them freedom to find their own space during the activation. I ask each model to write about the experience of performing. These texts are part of my research. KDH: The install at abc seemed to focus on blue. The color (almost a Klein blue) was so rich and contextually appeared to help hold the overall composition together. How did you arrive at this particular shade? DH: I wanted the piece to have a muted, otherworldly palette, creating an image that departs from reality. Throughout the activation, the models created a painting with their bodies by rubbing on the wall. KDH: What is next on your artistic agenda? DH: Working on several projects, please be sure to check my website for updates. Stay tuned for more exciting projects by this artist and follow her (@ruaminx) and myself (@katyhamer) on Instagram!